But we can enjoy all of the weather when it become a beautiful menu. I had a lunch that inspired from hydrangea. 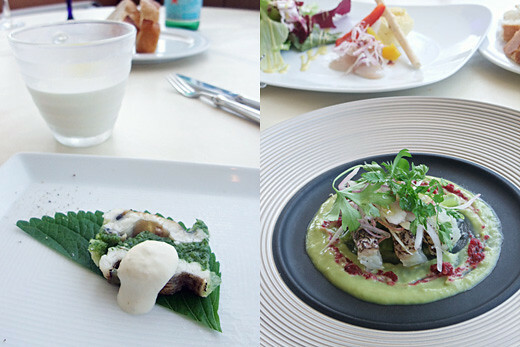 All of the dishes were looks like green leaf and fresh flowers in the rain. 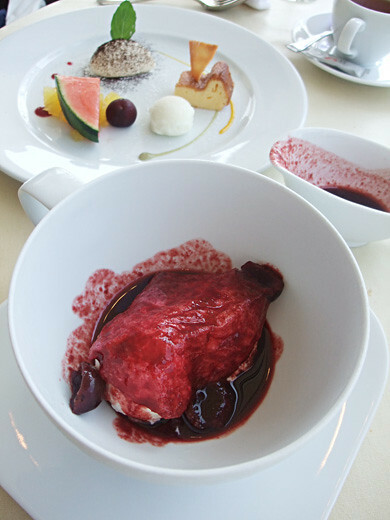 The dessert was stunning – affogato of cherry espresso with edible paper. Pour the vivid wine red espresso on the vanilla ice creams! Looks delicious! Isn’t one of the heroines of the Genji story called Lady Ajisai? 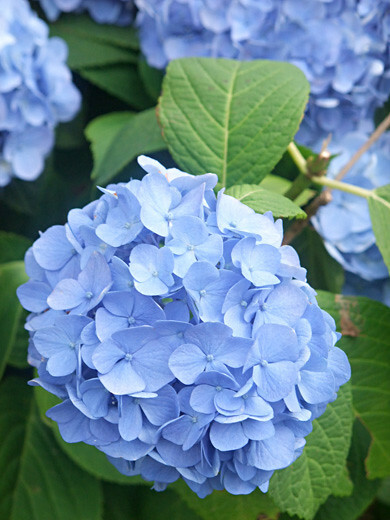 hydrangea is my favourite flower! 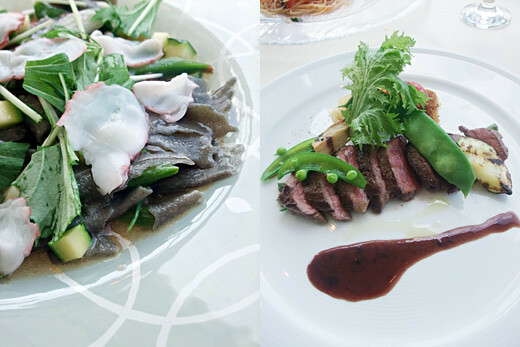 i wish i can try out the hydrangea theme meal!